The Summer Science Adventures series provides fun, engaging science and technology-oriented activities for children. On each program day, activities are offered for three age groups: ages 4-6, ages 7-9, and ages 10-14. 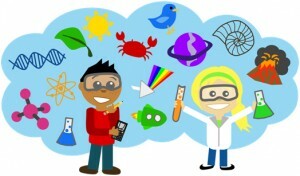 Subjects include biology, chemistry, physics, and more! A full schedule is provided below. Participants may preregister in the Children’s Library. This series was made possible via a grant from Chevron.